Services will be held at 11:00 a.m., Thursday, February 14, 2019 at Chiles-Laman Funeral & Cremation Services, Bluffton. Dr. Robert Hewitt officiating. Visitation will be from 2:00 – 8:00 p.m. on Wednesday at the funeral home. Michael L. Goings passed into his heavenly home on Friday night surrounded by his wife and girls. His long battle with cancer was over and he was at peace. Michael was born in Paulding on December 8, 1942 the son of Raymond and Mary (Miles) Goings. Michael was the oldest of nine brothers and sisters. Stanley Goings (dec.), Dr. Kenneth (Eugene) Goings of Columbus, Steven Goings (dec.), Kathy (Eli) McDonald of Mansfield, Tracy Goings of Paulding, Judy Stevens of Clinton Ind., Carol Goings of Columbus, and Miles Goings of Paulding. 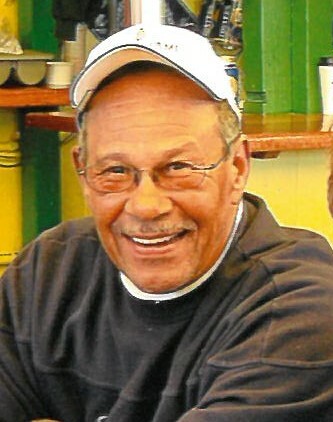 He graduated from Paulding High School in 1961 where he played football and ran track. He was an outstanding athlete and was inducted into the Paulding HS Hall of Fame. After graduation, Mike came to Bluffton College where he played football and lead the nation in scoring with 22 touchdowns in 1962. He was inducted into the Bluffton College Hall of Fame in 1992. At Bluffton College he met his wife Mary (Reinhart) Goings and they married in 1966. Mike and Mary made their home in Bluffton and raised 3 daughters, Stephannie Goings, Bethany Cunningham, Amanda (Jason) Neely and Michele Blubaugh, (their bonus child) all of Bluffton. In the ensuing years they were blessed with 8 grandchildren Casandra Parish of Fostoria, Morgan (Brian) McCoy of Trenton, Ethan Huss of Ada, Evan (Olivia) Huss of Bluffton, Erin and Ella Cunningham of Bluffton and Steven and Samuel Neely of Bluffton and his great grandchildren Isabella Mendoza and Robin and Elinor Parish of Fostoria, and Michael and Harleigh McCoy of Trenton. These grandchildren gave Mike some of the greatest joys of his life. They will always have the wonderful memories of tractor rides in the wagon with his John Deere. After marriage Mike was introduced to farming and milking cows by his brother-in-law John P. Reinhart (Emmy) and his father-in-law who delighted in playing many pranks on Mike which resulted in stories that have been told and laughed over many many times. The family bond was very dear to Mike and over the years there have been many friends who were welcomed around the kitchen table. International Students from Bluffton College and anyone who needed a friendly place and a good meal could be found over at the Goings’. In 1979 Mike and Mary added to their family when Kan and Miev Chan arrived in Bluffton. Kan and Miev and their children Tracey and Simon and their families have been an integral part of the Goings family. Mike was a humble man who valued his neighbors on Buckeye Corners, took pride in his yard and shrubs and enjoyed life. He worked for the Lima City School as a home school coordinator, a short stint at UPS and retired from J. M. Sealts Wholesale Grocery Company. In his retirement years, the Bluffton Golf Club was his home away from home. Dr. Sharon Cole and Dr. Haq of Orion Cancer Center were wonderful in their care of Mike. Bridge Hospice cannot be thanked enough for their compassion and kindness. In lieu of flowers, memorial contributions may be made to the family who will give to various charities that they have chosen.